Nova Tonight & Upcoming Christmas Concert! *Big bonus: tonight’s Minnesota Music Café performance and our Christmas Concert feature the fantastic vocal stylings of Tony DeMarco! The phrase, “It’s that time of year again,” may mean lots of things, but in this case it means — excitingly — that the Nova Contemporary Jazz Orchestra’s Christmas Concert is coming up. Our concert will take place on Sunday, December 20th, at 4pm at the Saint James Lutheran Church in St. Paul, and it’s guaranteed to help put you in the spirit. This fine and seasonal set of music will feature many of Nova’s holiday favorites along the vocal stylings of Tony DeMarco. Our famed bassist, Pete Karstad, will also sing a Christmas classic that’s sure to be familiar to everyone. Coffee, punch, and pie following the concert. Please join us! On the Facebook machine? You may join the event here. Nova’s at the Minnesota Music Café December 8, 2015! This post may look pretty similar to one we had back in October (see below). That’s because special guest vocalist Tony DeMarco returns for an encore performance! 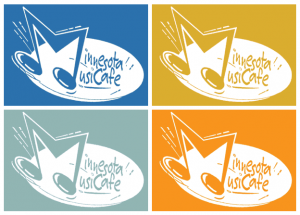 It’s coming up soon, on December 8, 2015, at the Minnesota Music Café. Music starts at 7pm. Special tunes — Don’t miss it! The 2014 Nova Jazz Christmas Concert! As promised, here are all the details for the upcoming Nova Contemporary Jazz Orchestra Christmas Concert. This event will take place at 4pm on the 21st of December at Saint James Lutheran Church in St. Paul (460 Annapolis St. West). Everyone should come out and hear this concert, which will feature some of Nova’s Holiday favorites along with some new surprises. If you’re not in the Christmas spirit yet, there’s no need to be visited by three spirits — this concert is guaranteed to do the trick. 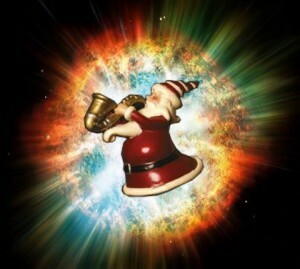 What: The Nova Jazz Orchestra Christmas Concert! It’s December, and Nova’s playing the Minnesota Music Café!